I am excited each time I receive my Bellabox. I look forward to receiving this pink box every month for you will never know what awaits you inside! Among all the wonderful beauty products, there is a cute pink moustache necklace! Thank you Bellabox for the cute surprise. 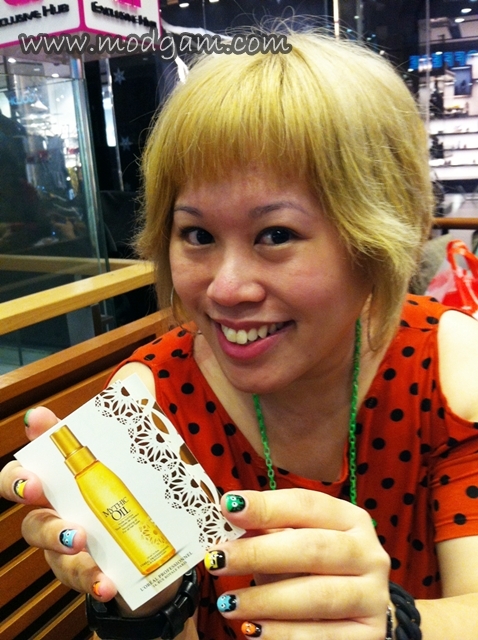 I have been wanting to try L’Oreal Professionnel Mythic Oil Nourishing Oil and am excited to see this product inside. As you know I dye my hair a lot so its kinda important for me to keep it healthy so that I can do more revamp on it. The unique blend of precious argan oil and grape seed oil help to nourish and tame hair. After using this product, I notice the nice instant shine on my hair and its not as frizzy as before. There is also the L’Oreal Professional Absolut Cellular Repair Shampoo which I am also trying on my dry bleached hair. My hair feels more moisturised and restored. I am loving it. I kinda love the redness on my face till I started snapping more pictures a few years ago. 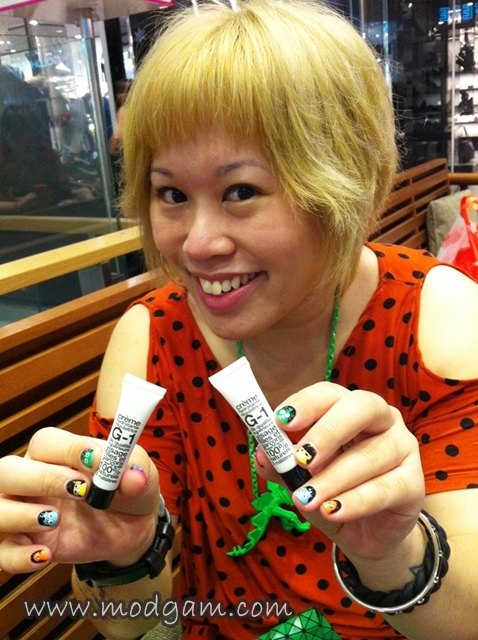 Since then, I have been searching for products that has more green based to curb that redness. I was excited when I read that Benta Berry G-1 crème Hudratante Regulatrice help diminish redness and blemishes at the same time. I tried it and I love how it has that moisturizing effect and it feels light on the skin. It also has a mattifying effect leaving the skin smooth. As you know by now, I am a HUGE fan of mask and I love trying on different masks for I feel it helps feed water and vitamins to my skin and I love it! 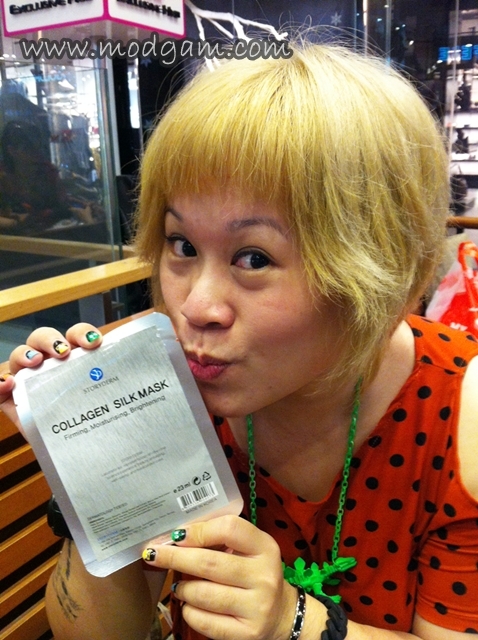 Storyderm Silk Mask aids in cell regeneration and is developed to deeply moisturized and condition the skin! The mini Savoir Faire Lipstick is perfect for keeping it in your purse for the night out or for an event. Thanks for the reply! 🙂 Seems like we’re online at the same time – I just published haha. Any suggestions for a leave in? no probs lemons. im a night owl, its actually 11.43pm night in singapore. hahahaaa i never receive notification of your new posts. i think i shd try to unfollow u and follow again. I used to buy from body shop and i’m using L’Oreal now. and u have always been so supportive too!